Wolfgang Puck Bar & Grill modernizes the traditional “bar and grill” concept with approachable dining in a dynamic setting inspired by traditional farmhouses and a touch of California elegance. The restaurant captures the essence of the laid-back Californian dining experience, made popular by Puck himself with his flagship restaurant, Spago. Designed by Tony Chi, the menu will highlight the best of Wolfgang’s signature dishes with Mediterranean influences, innovative takes on comfort food classics, and handcrafted specialty cocktails, beer and wine. Capacities are subject to change if food stations/buffet or dance floor is added. The above capacities are listed as minimum and maximum capacities per room. Banquet rooms are assigned accordingly to the anticipated number of guests. 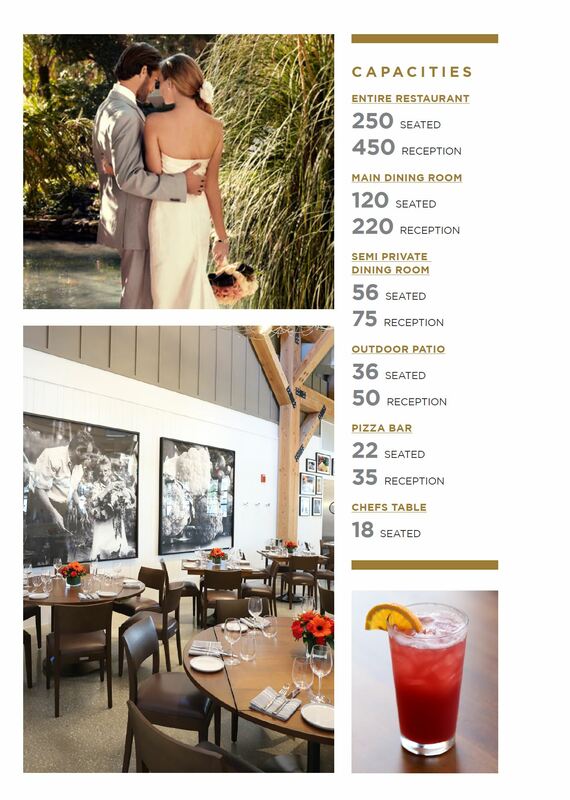 Wolfgang Puck Bar & Grill reserves the right to reassign space at any time, if needed to accommodate all events. Wolfgang Puck Bar & Grill does not have pre-function space, cocktails prior to lunch/dinner events to take place in confirmed event space.